Lets think about it , WHY would THANOS ally himself with a fallen, grieve stricken Asgardian Prince to his side (cinematic universe wise)? As Thanos had the stone longer than Loki has, what would be the problem of using the infinity stone of the mind to influence the Prince into his bidding (which would explain how Loki did the same to Dr. Selvig in the end credit scene without touching him with his scepter). We know different infinity stones have different effects and actions Tesseract emits gamma radiation, the Power stone in guardians of the galaxy turns your eyes purple and disintegrates you, the ether protects its wielder by destroying any harm around them and my speculation is that the mind Gem influences obsessions and amplifies negative or strong feelings in a person and that s what is clearly being done to Loki. Rid you of freedom you say Loki? Well, your right, you have been rid of your freedom my friend , you obsessions and your strong emotions clouding you mind as they are being negatively influenced. Its clear that in Thor, Loki stated “I never wanted to be king, just your equal Thor” this CLEARLY shows being the King of Asgard wasn’t the priority; it was to be seen better then his is thought of and from what we see the warriors of three were never that good to him, Thor ordered him around and he remained in Thor’s shadows for his entire life never getting the love he deserved. Now in Avengers 2 suddenly we have this completely different PSYCHOTIC behavior from Loki that makes you question: why the need to control Earth? Why suddenly do you want to be King? Why not destroy Earth instead? Destruction will pain Thor more then Loki ruling it. Now this brings the question of why Loki? That is beautifully easy. Ones taking control of Loki as a puppet there are 2 scenarios , both still beneficial to Thanos. *****Scenarios 1 : Loki succeeds: that means one world is fully under control of Thanos, along with its resources and weapons. By having Loki succeed we now stand at the point where Thanos has full power of an Asgardian, someone who knows his way around the palace BUT also someone of the royal family, a fallen prince and a master of magic non the less. Now using Loki they could easily penetrate Asgard in the shadows . By having Loki claim how is the King of Earth Thanos can still remain hidden in the shadows so Asgard would never even think about it being anyone for Loki doing this. Now we have Loki being able to penetrate the castle and be influenced ones more with the possibility of finally killing Odin but firstly doing research on nothing else but the ETHER, ANOTHER INFINITY STONE doe Thanos. Only Asgardians , or to be precise the royal Asgardians knew where the ether is. And by having an Asgardian on his side he can now claim the location of the Ether, so that he can now hold 3 infinity stones. How will Loki get to Asgard you say? Of please he knows the back doors of how to travel between the worlds, he claimed so himself and showed it to us in Thor: The Dark world. ******Scenarios 2: Loki fails and gets captured. Thanos will see the full potential of humans in war as Thor stated 2. It shows the Earth is ready for “a new level of war” implying that the “bad guys” want to see how truly ready the earth was. Loki gets captured and will never truly tell about Thanos’ participation in the plan even if asked and none WILL ask because its clear the Asgardians are blind to Loki. Everyone thinks Loki is merely crazy with power while in reality he was just being used in his broken times of sadness. Thanos still remains in the shadows , unseen by the worlds ready to strike as he now knows the full potential of Earth and now the infinity stones are more scattered around the universe of the realms which might be beneficial after all. In Thor: The Dark world we clearly see Tom portrayed Loki as an anti-hero of the movie and not the villain, of course we have that cheeky little ending but non of us know yet what to do with that and I don’t think neither do the screen writers. But I never said Loki was innocent of everything, just the events of the New York , anything after that ( reclaiming the Throne) if just easy picking by this point and honestly I don’t see that as being that bad because by the ed of Thor 2 NOONE likes Odin and glad he is dead. Now we have everything clear. We have the reason why Loki was needed for the plan , and we see the reason why he was so desperate for the throne. Strong emotions influence the people due to the Mind Stone. In Selvig’s point it was science and curiosity in Loki’s we have grief. Ones he loses the scepter his eyes return to be green and back to normal and in Thor 2 we see those innocent glimpses of Loki in the movie showing us that he was a completely different person in The Avengers , connecting to the fact that the mind stone amplifies strong emotions and obsessions of the person who holds it and that Loki may even have been pre influenced before he was gifted with the scepter, which clearly explain now he was able to talk to “the Other” by mind and why it was so painful for him to do so. It is CLEAR that somehow they are controlling him and he is nothing but a puppet in the Avengers. I love Loki as a character and this makes me love Loki even more because the character itself was written in such a way that completely changed Thor. Now we can clearly see that the reason that mental communication was possible was because there was an influence made on Loki by The Other and Thanos . This is my prove that clearly connects with all that I’ve said and all that is speculated before cinematic evidence existed to prove Loki is innocent of what happened in New York. Merely a grief stricken Prince controlled by Thanos and the Mind stone , and I know many screen writers are confused on what to do with Loki so HERE IT IS, ALL SPELLED OUT for his redemption and his continuation as a charter in the series. I mean Loki swearing revenge on Thanos would only make sense now, revenge against controlling him allowing him to fight along side Thor : “the enemy of my enemy is my friend”. If you have any questions or loop holes message me and I can explain them to you or try if you’d like to. Yours truly Elena Pugh, just a very observant detective fan of Marvel and the soon starter of the reviewing film Chanel Opposites Attack on Youtube. 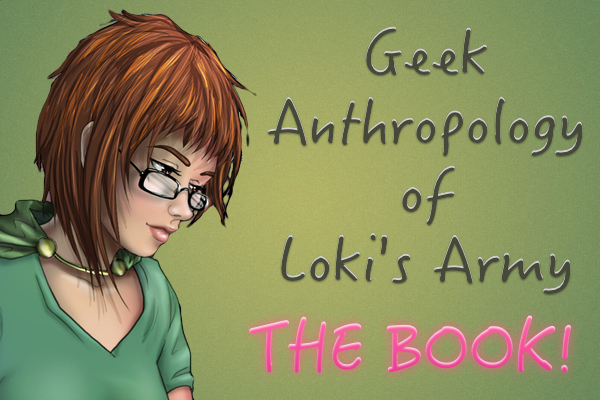 Special thanks to “Loki’s Army” for posting this article and helping me out, your great.